The 2010 and 2014 World Cups could not have gone any differently for Spain: La Roja were the last team standing in the former, winning the competition for the first time in their history, while in the latter they were eliminated before any other side. Their success in 2010 was the high point of an unprecedented era of success for any European nation, as the Spaniards won one World Cup and two European Championships on the bounce. Vicente del Bosque’s men lost their first game of the tournament to Switzerland, but bounced back to lift the trophy after an extra-time victory over the Netherlands in the final. It was a thoroughly deserved triumph, with their spell-bounding, tiki-taka style of play earning them plenty of admirers as well as silverware. By 2014, though, Spain were past their best and opponents had found a way to beat them. The writing was on the wall after a 5-1 humbling by the Netherlands in their opening game, before a 2-0 reverse against Chile saw the holders exit the competition after just two matches. Del Bosque remained in charge for Euro 2016, where Spain made a promising start before being dumped out by Italy in the first knockout round. Much has changed in the two years since then, and there is considerable reason for optimism ahead of this summer’s World Cup. Julen Lopetegui is the man at the helm these days, and Spain certainly look a lot fresher and more dynamic under his leadership, with odds looking shorter at top football betting sites in the run up. 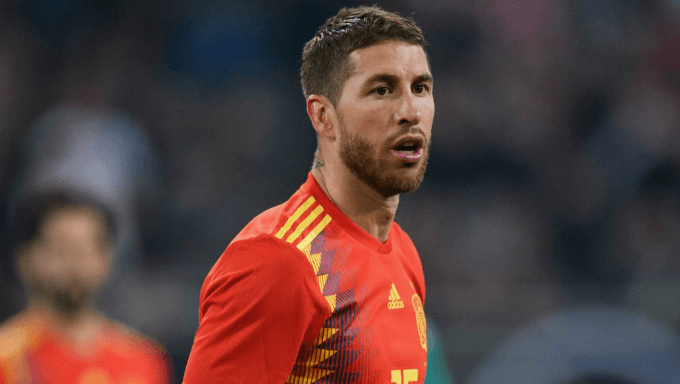 There is still an experienced core to call upon – Sergio Ramos, Cesc Fabregas, Gerard Pique, Sergio Busquets, David Silva and Andres Iniesta are all heavily involved – but the likes of Isco, Marco Asensio and Saul Niguez add something different to a side which had previously grown a little stale. Spain therefore arrive in Russia with the aim of going all the way. An opening game with Portugal on June 15 will probably determine whether they finish first or second in Group B, with both heavyweights expected to make light work of Iran and Morocco in their subsequent clashes. The Spaniards would fancy their chances of beating whoever comes out of Group A, though, so even a second-place finish behind reigning European champions Portugal would be far from disastrous. Perhaps the wisest wager would be on La Roja collecting seven points from their first three games – a draw with Fernando Santos’ side and victories over Iran and Morocco – with 888sport offering odds of 7/2 on that eventuality. If Lopetegui’s charges top their segment as expected, they could be on course to face Argentina in the quarter-finals. Lionel Messi is the world’s best player and the South American nation therefore cannot be written off, but Spain would be heavy favourites in such a clash given their superior coherence and balance. Even a meeting with France, Germany or Brazil in the last four would not faze this group of players, many of whom know what it takes to emerge victorious at an international tournament. With all that in mind, it could be wise to back Spain to win this summer’s World Cup at 7/1 with Karamba. Perhaps the most interesting football betting market from a Spanish point of view is top scorer. This is a squad with a multitude of midfield options, so much so that Suso, Juan Mata, Asier Illarramendi and Luis Alberto could miss out on a place in the squad altogether, but the position of striker has caused problems for Spain since 2010. Del Bosque often chose to deploy Silva or Fabregas as a false nine, with Diego Costa failing to impress at the 2014 World Cup after his defection from Brazil. Costa is likely to lead the line again this summer, but there are still doubts over whether the Atletico Madrid man – a battering ram of a centre-forward who relies on his power and physicality – is a natural fit for a side who like to dominate possession and work intricate passes in the final third. Alvaro Morata would perhaps have been first in line had he not endured such a tough season at Chelsea, while Iago Aspas is still relatively untested at this level despite a respectable international goal return of four in eight caps. It could therefore be worth backing Silva to finish as Spain’s top scorer. The Manchester City schemer scored five times in qualifying – none of his team-mates bettered that tally – and has posed an increased goal threat at club level in 2017/18. 888sport offer 13/2 on Silva outscoring his international colleagues in Russia.